Matt Muma provides advice to clients on legal issues related to health insurance and benefits, represents clients in disputes and investigations, and provides counsel in transactions in the health insurance sector. Matt advises insurers, employers, trade associations, and consultants on a wide variety of issues related to the Affordable Care Act (ACA), including the controversies surrounding ACA implementation, legislative developments, the ACA’s section 1557 nondiscrimination provision, and health insurance market reforms. He also provides in-depth advice regarding ERISA compliance, benefits taxation, and other state and federal regulatory issues. In his litigation practice, Matt represents clients in disputes and investigations. He has advocated for clients before executive agencies, defended insurers in government investigations, represented clients before administrative tribunals, and provided litigation strategy and advice. 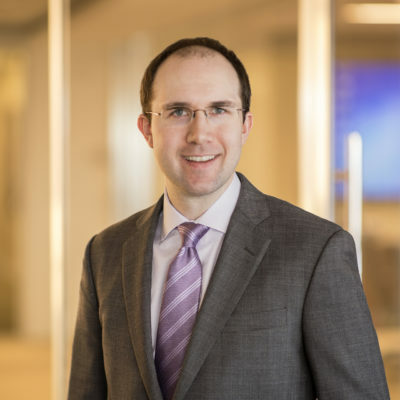 In addition, Matt provides counsel on corporate transactions, including reviewing deal materials and providing advice on litigation risk and regulatory compliance.